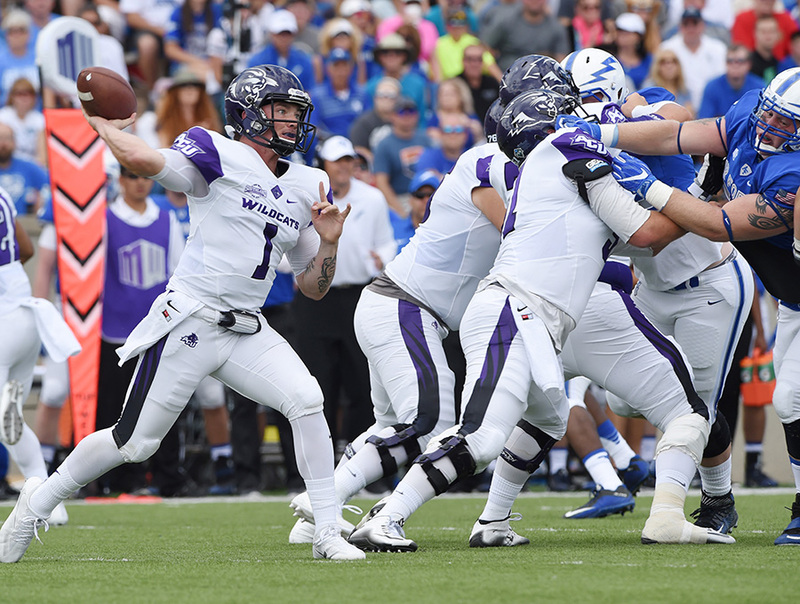 Quarterback Dallas Sealey and the Wildcats open their 2017 season Saturday on the road against an FBS opponent, as they did last year against the Air Force Academy. ACU gave the Falcons a tough game, falling 37-21, and face the University of New Mexico in this year's first game. It would be silly to compare Abilene Christian University’s four-year Division I transition to Israel’s four decades of wandering in the wilderness. I mean, have you actually seen the NCAA’s application process? Pharaoh’s army would’ve turned tail at first sight. A journey that began in earnest when Dr. Phil Schubert (’91), in the days leading up to his August 2010 inauguration as ACU’s 11th president, commissioned then-athletics director Jared Mosley (’00) to explore the university’s position within the ranks of collegiate athletics crossed the finish line last week when the NCAA sent a letter formally approving ACU as a full-fledged Division I member. And the walls came a-tumblin’ down. 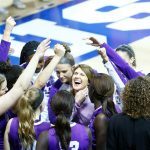 For four long years, ACU teams competed in the Southland Conference but weren’t allowed to participate in the league’s postseason tournaments or for NCAA championships. Like the Hebrews of old, the Wildcats were reduced to circling, having no say-so in overthrowing its foes. And yet team after team, though often underfunded and frequently outnumbered, repeatedly made ACU’s presence known. Football: Despite having 10-15 fewer scholarships than its conference opponents and 30 less than the bowl subdivision teams on its schedule, the Wildcats won six games in each of its first two seasons, highlighted by a 38-35 upset of FBS-member Troy in 2014. Track and field: The women’s cross country team won conference in 2015 behind wonder twins Allie and Michaela Hackett, who are now seniors. And in the preseason regional rankings released this week, ACU is No. 2 behind the University of Arkansas and ahead of Texas, Baylor and Texas A&M, among others. Tennis: The men’s team earned a share of the Southland Conference regular season title in 2017 and the women’s team had the league’s top doubles tandem. Baseball: Twice in consecutive years, the Wildcats knocked off 2012 national champion Arizona. Softball: After a 33-win season in 2017, ACU earned a berth into the inaugural National Invitational Softball Championship for teams that didn’t make – or in the Wildcats’ case, weren’t eligible – for the NCAA national tournament. Volleyball, soccer, men’s basketball: All three of those teams played well enough in each of the last two seasons to qualify for their respective conference tournaments. And then there’s women’s basketball. In the four years transitioning from II to I, they won games at a percentage slightly above that – 69 percent, to be precise. 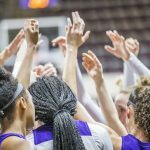 The class that played those four years beat Texas Tech as freshmen and punctuated their careers with a win over Oklahoma State in the postseason Women’s National Invitation Tournament. In between, they were regular season champions in consecutive seasons and went 33-3 in their last two years of conference play. The days of being denied the chance to play for championships are over. Effective immediately, each ACU team is eligible for all postseason play. For football, that means the opportunity to make the 24-team NCAA tournament either by finishing first in the Southland Conference or receiving an at-large bid by the national playoff committee. The rest of the university’s teams are now eligible for their conference tournaments, the winners of which (in most sports) automatically qualify for the national tournaments. That means as early as next spring, ACU could be in the midst of March Madness. Should the men’s basketball team finish in the top eight of the conference and then win the Southland tournament in Katy, Texas, the Wildcats would find themselves among the brackets as one of the 68 teams in the NCAA Tournament. That’s the good news. But as the Israelites discovered, there are giants in the land – beginning this month when the football team, led by first-year ACU head coach Adam Dorrel, visits a pair of Mountain West Conference opponents who qualified for bowl games last year: New Mexico and Colorado State. In fact, every ACU program will face schools from power conferences – last Sunday, for example, the soccer team played Arkansas from the SEC; the volleyball team takes on Wake Forest (ACC) and Colorado (Pac 12) this weekend – before settling into their Southland schedules. And like the Old Testament Jews, not everyone who began the journey to Canaan’s land is still here. Mosley led the first half of the exodus before passing the administrative mantle to current AD Lee De Leon. And numerous coaches and players who made significant contributions to this milestone along the way won’t get the opportunity to experience the excitement. We remember them, along with the thousands of letterwinners who played for ACU teams down through the ages, as we go marching in. The games have begun. A new era is here. Let the milk and honey flow and the II become I.
Wildcat football returns to campus with the opening of Anthony Field at Wildcat Stadium. Read this and more in the new issue of ACU Today magazine!